Make an impact as you provide operational and financial support for data center properties at our Northlake and Franklin Park Campus. Expand your experience in a diverse role including AP processing, financial reporting and analysis, reconciliations and more. Enjoy the best of both worlds: the supportive atmosphere of a tight-knit team as well as the stability and resources of a thriving global corporation. Gain exposure to other areas of our business. You'll work with a strong team of talented peers and mentors and our ongoing growth and cutting-edge data center environment means we're all constantly learning new things. You will spend the majority of your time at the Franklin Park campus location and support two offsite locations (within a 15-minute drive). Pictured: Front entrances to 9333 and 9355 W. Grand Ave., Franklin Park, IL. Reporting to the Real Estate Manager, you will join a team that also includes two other Real Estate Managers. You will play a key role supporting operations and financial responsibilities, with a focus on the financial piece. Key activities will include heavy accounts payable, financial reporting, accruals, re-forecasts, budgeting and reconciliations. Video: Take a tour of Digital Chicago, A Digital Realty Datacampus. 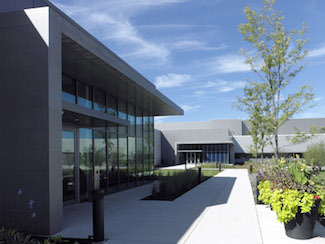 The Franklin Park Data Center (Digital Chicago) sits on a 23-acre parcel of land, and consists of three (3) existing buildings, providing 574,994 square feet. The campus is continuing to grow. Digital - Chicago is located 15 minutes from O'Hare Airport and 20 minutes from Downtown Chicago. You will play an integral part in managing the financial and operational aspects of your assigned properties, giving you great exposure and visibility. You will work with and learn from a talented group of managers and join a team that works well together. This is a résumé-building role; not only will you learn the data center industry, but you also will expand your experience in diverse areas of accounting and finance, and will have special insight into the organization through your accounting activities. We place a strong emphasis on helping people grow and we are committed to promoting from within whenever possible. Success in this role could set you up to advance within Real Estate Management or pursue other paths of advancement in our organization. You'll find that working for our company may be a little bit different. 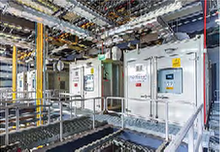 We are small enough, with only 1500 employees across our global portfolio, that your hard work will be visible in multiple areas of the organization. Yet our extensive offering of services and solutions, and proven track record of growth, stability and industry-leading innovation, give you the resources and tools you need to take your career to the next level. We are a collaborative, people-focused group dedicated to quality and continuous improvement. When you become a member of our team, you receive our commitment to your continued development and support. We provide a competitive wage with the potential to earn overtime and a discretionary bonus. Additionally, you will enjoy a comprehensive benefits package that includes all you would expect plus some pleasant surprises, like multiple flexible spending plans, a generous company match on the 401(k) plan, and more.